You might not recognize the name Lamont Dozier immediately, unless you pay attention to songwriting credits. Lamont Dozier was part of a songwriting team known as "Dozier Holland Dozier." 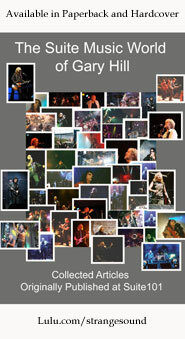 So many songs you have heard were written by these guys but performed by others. 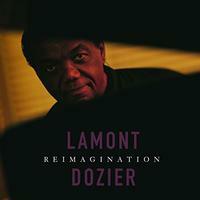 Here Lamont Dozier (with guests ranging from Lee Ann Womack to Graham Nash and Todd Rundgren) makes his way through a number of his songs, sort of reclaiming them as his own. You'll probably recognize everything here, and have a great time making your way through this blast from the past. Dozier also manages to bring a freshness to these old classics, while still performing them in an old-school way. As the title suggests, Dozier starts this disc with a medley of his songs that were originally recorded by The Supremes. There is a bit of a rhythm section thing at the start, but it drops to just piano from there. Dozier's voice joins as the only accompaniment. Some other keyboards join as it works into the "Stop in the Name of Love" section. It drops back to just piano for the "Come See About Me" section. "Baby Love" is also delivered with just the piano and voice at the start, but other keys lend some string-like textures as it continues. Graham Nash guests on this tune. It is quite an effective and pretty medley. It's a nice way to start the disc in style. Gregory Porter guests on this song. There is more of a blues groove on this number. It's still delivered with just piano and Dozier's voice as the main elements, but there are some backing vocals that end a real soulful vibe. Although the primary focus is on the piano and Dozier's voice, this gets a lot of extra magic via the extra keyboards and backing vocals that really help to drive this. It has a real soulful gospel kind of sound. In a change, this starts with acoustic guitar, and that serves as the backdrop for the vocals on this number. Backing vocals provided by Lee Ann Womack add some magic. Acoustic guitar and vocals is the makeup of this cool tune. This is actually one of my favorites here. It's very effective. I love the Spanish guitar solo on this. Some keys join on a climactic section later, but drop away before the end of the song. More in line with a powered up piano and vocal arrangement, this is a powerful medley. Sir Cliff Richard lends his vocal skills to the first half of the cut as a second singer. The second piece of this twofer is built around piano and voice with strings and more keyboards adding to the mix. The first half of this gets a cool jazz treatment based on keyboards and vocals. Jo Harman's vocals accompany Dozier's bringing some different flavors to it. There are some intriguing jazz stylings in some of the other layers of sound on this. The second half of this gets more of a full jazz band treatment with a bluesy arrangement. It really manages to rock and groove. Todd Rundgren guests on this cut. It starts with just piano, and Dozier's voice joins after the introduction. By that point the piano actually drops down a lot, letting the vocals really shine. The arrangement gets some more textures and sounds as it grows outward. It remains a mellow ballad, but it has a more powerful and lush treatment. The cut gets decidedly jazzy as the musical mix powers up more later. Bluesy rocking acoustic guitar drives this number. Marc Cohn guests here. This is a highlight of the disc. It is packed full of cool. Some harmonica later adds to the blues vibe. I've always loved this song. This version starts on keyboards and works out from there. I dig the guitar and other elements that come up as the track moves forward. It really becomes a cool bluesy, jazzy kind of thing. It reminds me of 10cc just a bit. This includes a guest appearance from Rumer. Intricate acoustic guitar starts this number. This works out into some cool rock music with jazz and blues stylings. Justin Currie guests on this. Piano and vocals make up the arrangement here. This is a bouncy fun kind of groove. This bonus track is also based on piano and voice at the start. I think I like this version better than the one that made it onto the album proper. Jo Harman provides some duet vocals as the arrangement works out toward more of a full jazz meets gospel treatment.